Hey folks! My name is Booker! I was accepted into this program in September of 2008. My donor, Leslee Messner of Mantua thought this would be a wonderful job for me. After my show career, it seemed like a good move. 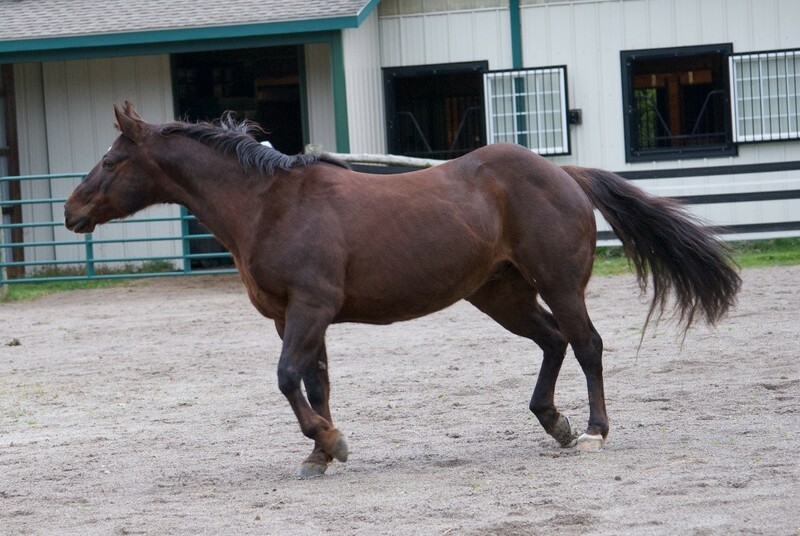 My registered name in the AQHA (American Quarter Horse Association) is Sonny’s Sinful Step. I was born in 1995 – hard to believe, huh? I started my show career at a very young age in halter and showmanship and did quite well, I must say. I was pretty tough to beat. Then as I grew older, I stepped it up a notch and went on to show in 4–H and other local shows in western pleasure. I have been ridden English, but I prefer Western. You may notice that I like to take life at a very slow pace. I don’t want to over exert myself. My most favorite activity is trail riding (big surprise). I like to take in all the sights and enjoy the great outdoors. I do not always move slowly, you should see me kick up my heels with my “buds” in turnout. They are a lot of fun! I am sure I will meet you all very soon and I can’t wait! I love lots of attention (and treats of course). 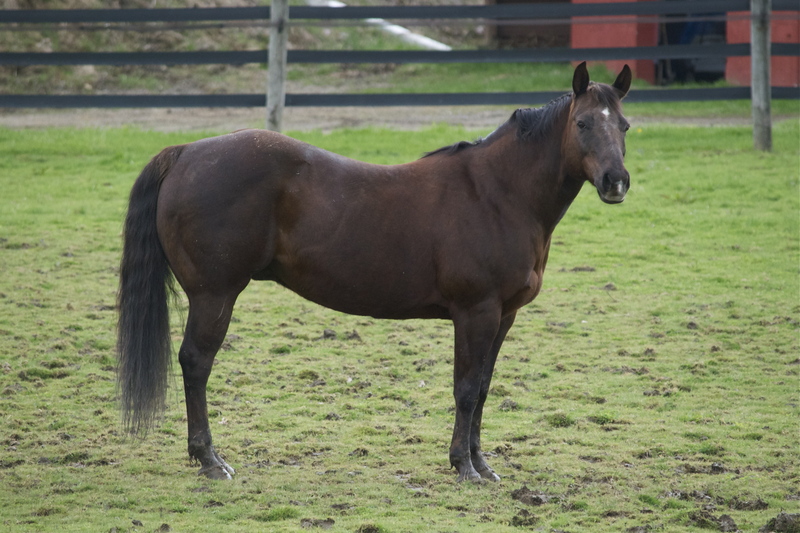 I will be the muscular liver chestnut gelding that catches your eye when you walk down the aisle. I am about 15 hands tall, perfect size for just about any rider. A few things you should know about me before we start working together. I can get pretty dirty in turnout, but love being groomed or bathed. I respond very well to voice command and leg cues. If I don’t trot for you right away try making a “click, click” sound – this usually works (unless I am feeling exceptionally lazy that day). Please be gentle on my mouth. I am very sensitive and prefer a little less contact than other horses (that would be from my western pleasure days). I do direct rein, but am a darn good neck reiner. Did I mention that I have great brakes? You only have to ask me once and I stop before you know it. I love all the activities in the ring – they are pretty entertaining. Not much here I haven’t seen before. My mom was great at exposing me to so many different situations. See you around!